Riviera have a full summer of live gigs and festivals, including the prestigious Wilkestock festival. Despite their busy schedule their second single “Day Dream” is due to be released in July with further releases of their third single “Andy Brown”, and a four song EP due later in the year. 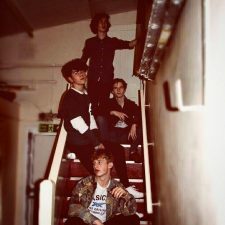 Riviera have been described as a talented young indie based band with driving original songs punctuated with their own particular brand of strong melodic guitar lines.